How do you upstage a pregnancy announcement at the VMAs? With a floral maternity shoot curated just for Instagram, that’s how. 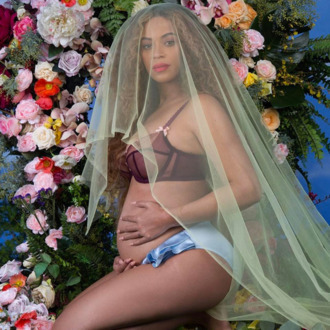 Beyoncé has announced she’s pregnant with her second child. Sorry, children. She’s having twins! “We would like to share our love and happiness. We have been blessed two times over. We are incredibly grateful that our family will be growing by two, and we thank you for your well wishes,” Beyoncé wrote on behalf of the Carters. All five of them. Blue’s going to be a big sister. We’re all going to be a big sister. Consider this the greatest kickoff to Black History Month of all time.